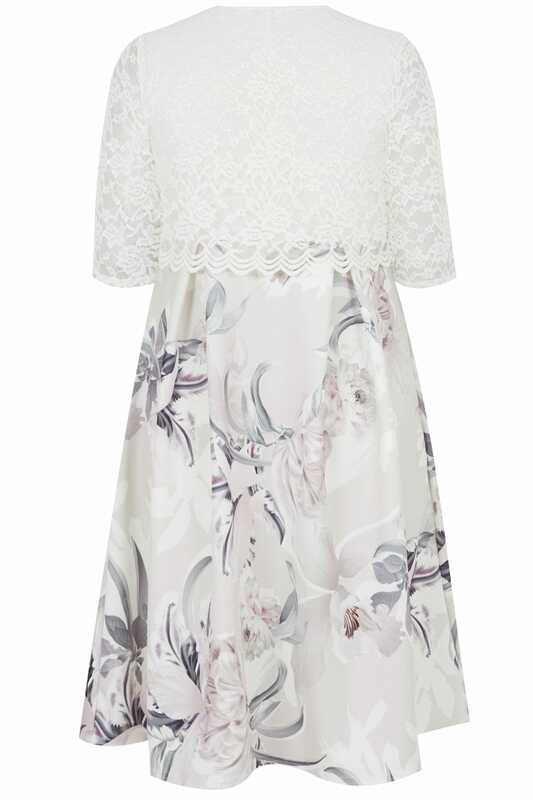 Sits to a midi length at approx: 107.5cm/42"
Update your new season evening wardrobe with this 2 in 1 style dress, featuring a lace overlay to the top and a romantic floral print to the skirt. Team with heels and a sparkly clutch to complete the look. 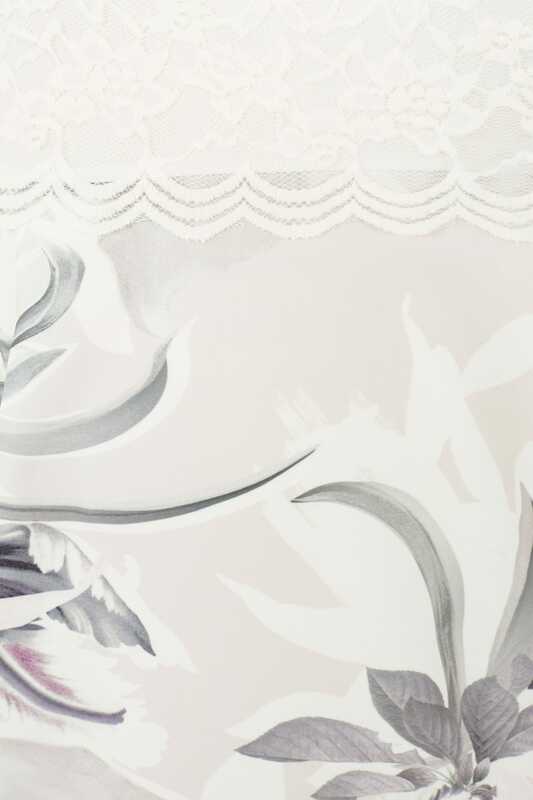 It's the perfect party dress for this season! 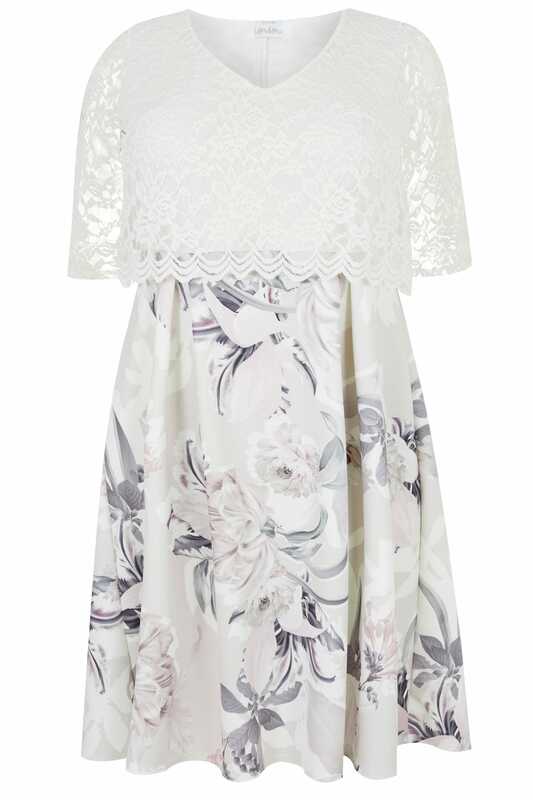 We love the beautiful floral print and the lace detail.